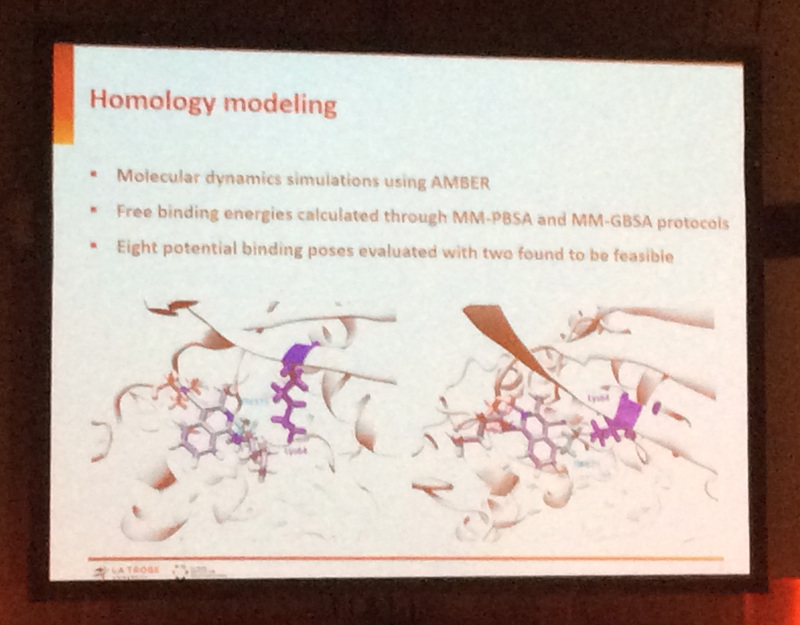 Kenneth Merz from the Institute for Cyber Enabled Research at Michigan State University presented work on molecular docking and protein-ligand binding free energy estimation, in relation to structure-based drug design. In particular, he is interested in solving sampling issues (phase space) and improving the accuracy of scoring functions. To address this, they have developed a Moveable Type (MT) method that combines knowledge-based approaches (via data mining) with physics-based models to create statistical mechanical ensembles. 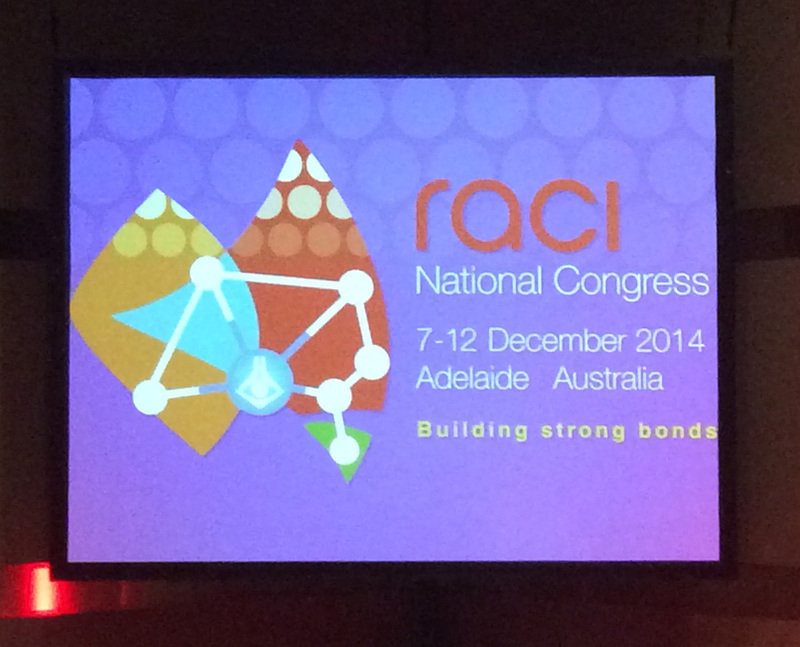 Belinda Abbott from La Trobe University spoke about malaria, a very popular research topic at this conference. This was probably the fourth presentation I’d attended on it already. 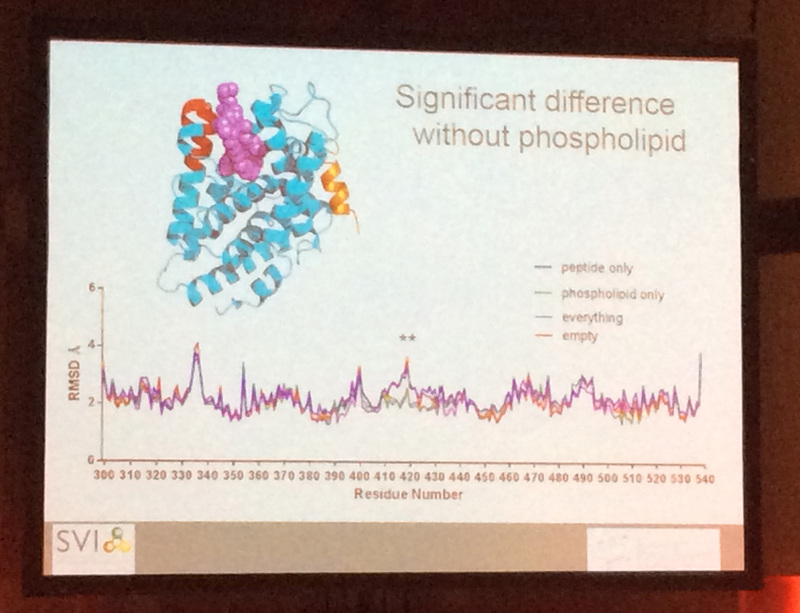 However, this was different in its methodological treatment, using a more computational modelling approach, particularly homology modelling and molecular dynamics – my bread and butter! I also met one of her research students at the Poster Session the night before so I was familiar with this presentation already. 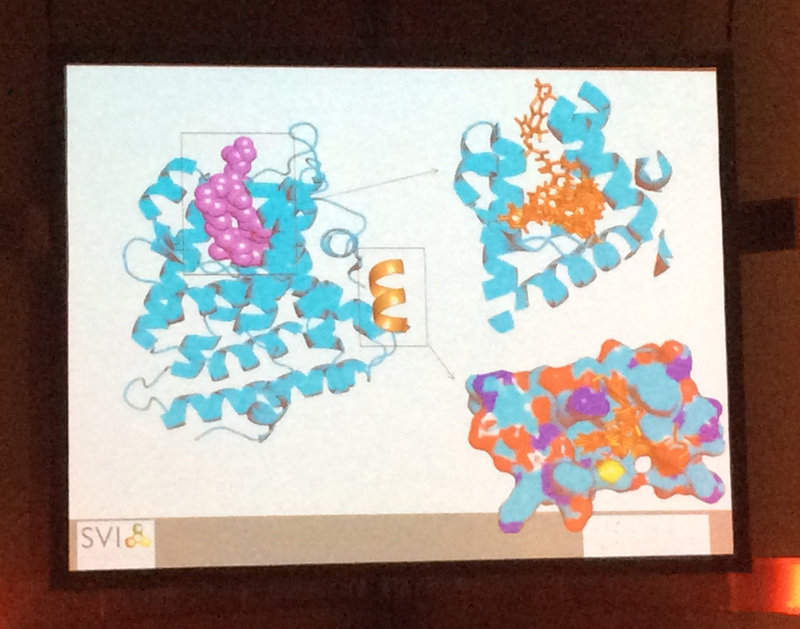 Jessica Holien from St Vincents Institute of Medical Research gave a most interesting talk on LRH-1, a type of receptor that has been implicated as a breast cancer risk factor. From the secondary structures of the proteins above and the RMSD plots below, this research is clearly the one that most closely resembles my own research activities. That’s why I made sure I chatted to Jessica after her presentation and as it turns out, she also attended the same Molecular Dynamics Fundamentals workshop at La Trobe Institute of Molecular Science (LIMS) as I did, along with Tamir from Monash University (who gave the presentation I missed yesterday). What a small world! Anyway, I asked for her business card so I could email her and “talk shop” after the conference. 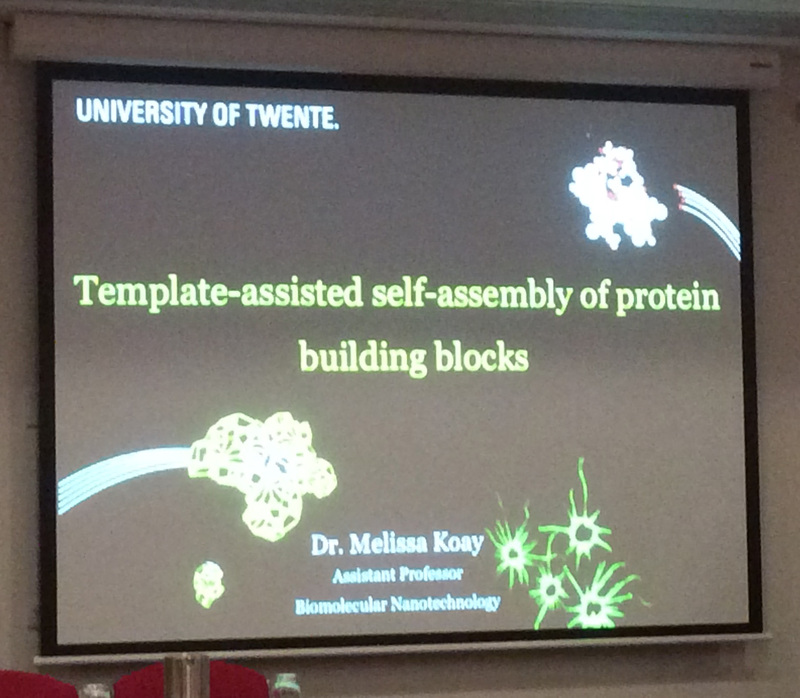 Melissa Koay from the University of Twente in The Netherlands premised her talk by excusing her crying baby at the back of the room, as well as the complete lack of vesicle content from her research, despite the theme of the session being Vesicles. After a quick Wikipedia check, vesicles are small organelles within a cell, consisting of fluid enclosed by a lipid bilayer membrane. I guess I came to the right place after all! Her research focuses on mimicking nature, taking advantage of viruses (such as the cowpea chlorotic mottle virus) as model protein organelles, and using virus proteins as molecular building blocks in bionanotechnology and engineering applications. 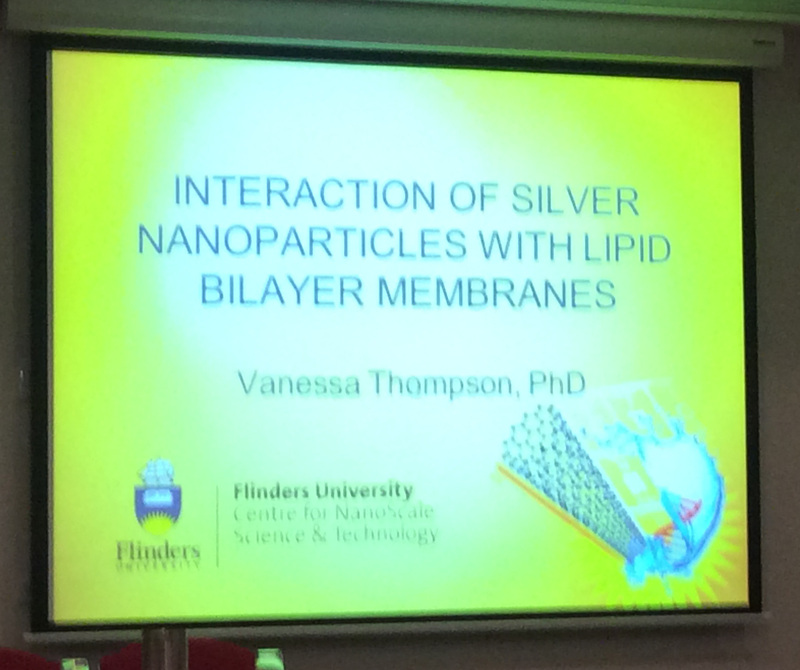 Vanessa Thompson from Flinders University was the very last presentation I attended, to cap off a gruelling week of plenaries, talks and social functions. Unfortunately, I was already on the end of my tether on a Friday afternoon so I cannot recall what this talk was all about. 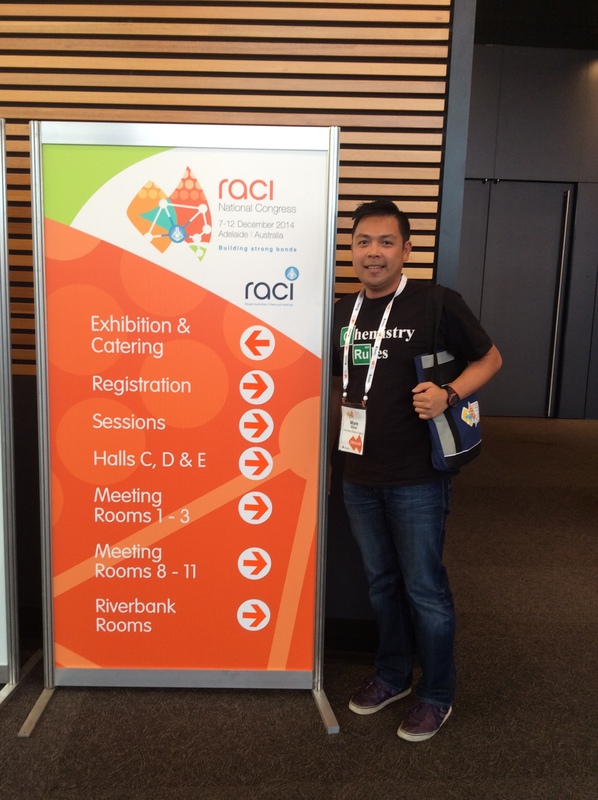 So on that note, goodbye RACI14. See you again in five years time!